The New York state budget is coming down to the wire this week — and with it, the fate of major progressive legislation that could fundamentally transform our political system and change the lives of millions of New Yorkers for the better. With the budget deadline just days away, legislative leaders and Governor Cuomo are still locked in negotiations over critical progressive priorities, while real-estate lobbyists and other corporate special interests are doing all in their power to put the brakes on our progress. We can't let them win. We have a deadline of our own on April 1st, and the grassroots contributions we raise between now and then will enable us to fight even harder for the progressive vision that New Yorkers demand and deserve. Criminal Justice Reform: New York’s punitive bail, discovery and speedy trial laws all uphold a system of mass incarceration, with its awful toll on working families. We must end money bail, reform New York’s discovery law, and ensure that innocent people don’t languish for years in jail while they await their day in court. Fair Elections (get involved below! ): For far too long, the wealthy and well-connected have had the run of Albany. We can end that era right now, and fundamentally and permanently make the electoral playing field fairer. 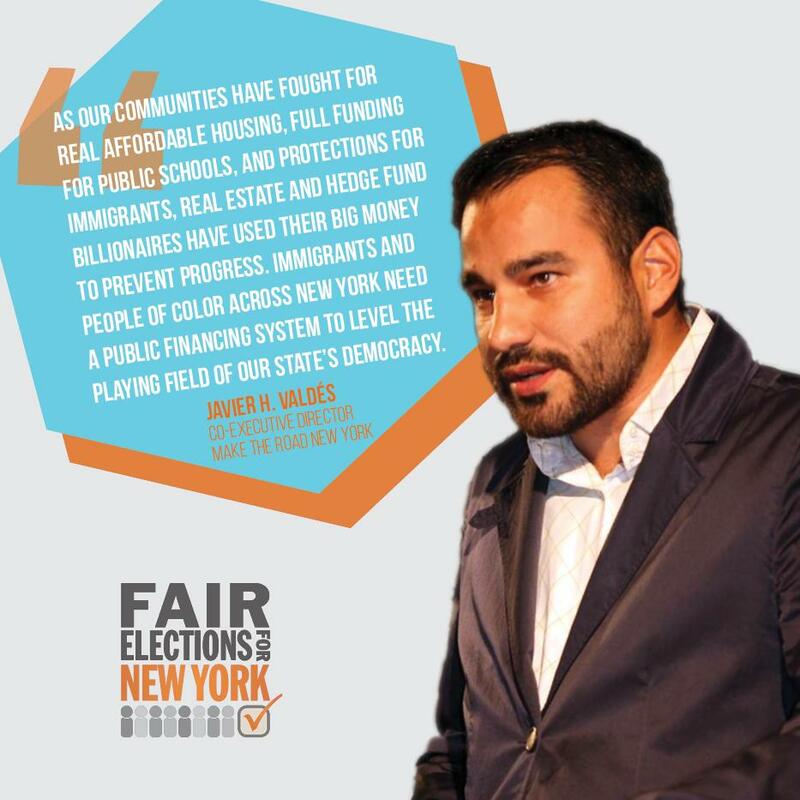 New York can the enact the most significant money-in-politics legislation in the country since Citizens United by ensuring that comprehensive campaign finance reform, with a small-donor match, is included in the budget. Fixing Public Transit: We know that New York City subways are in disrepair, and lack of investment in public transit has hurt working families in communities across our state. Now is the time to do something about it. The budget must include a congestion pricing plan to raise billions of dollars to fix the MTA, including new trains, tracks, and signals, while keeping fares affordable. Full Funding for Public Schools: Children across New York state have waited over a decade for the state to fulfill the promise of the Campaign for Fiscal Equity (CFE) and fully fund our schools. This year's budget must address educational inequity by fully funding public schools — and we should pay for it by asking the wealthy to pay their fair share through a pied-a-terre tax on multimillion-dollar second homes and other progressive taxes. Marijuana Justice: The fate of marijuana legalization — and justice — in New York could be decided this week as well. The budget this week needs to include legislation that not only legalizes marijuana, but also clears prior criminal records, creates an equitable and sustainable industry, and reinvests revenue into the most-harmed communities. Prevailing Wage: Prevailing wage jobs — for both construction and permanent building service workers — can make the difference between poverty and the middle class for working families. New York spends billions of dollars every year on economic development programs, money that should not be used to subsidize low-wage jobs and undercut worker standards. Albany has the opportunity to fix this in the budget by requiring that prevailing wage be paid whenever taxpayer dollars are used. Last year, the Working Families Party helped put a decisive end to decades of Republican influence in Albany by defeating the turncoat Democrats of the IDC and electing 15 new progressive state Senators to office. That changed the landscape of Albany for good, and is what has made all of this progress possible. But whatever happens this week, we already know that Wall Street, the real estate lobby, and the rest of the 1% aren’t giving up — and that means we can’t afford to either. Here are two ways you can get involved in the fight for fair elections today!